At St. Peter’s we live out the teachings of Jesus through the gifts of our time, talents and treasures. Join us and give to those who are needy and have no hope. It is easy to get involved in any of our ongoing outreach projects listed below. Click the contact links below, call our office, or come by the church for more information. Saint Peter’s hosts a daily lunch program, Monday through Friday, 11:30 AM – 1:00 PM in our kitchen and Smith Fellowship Room. 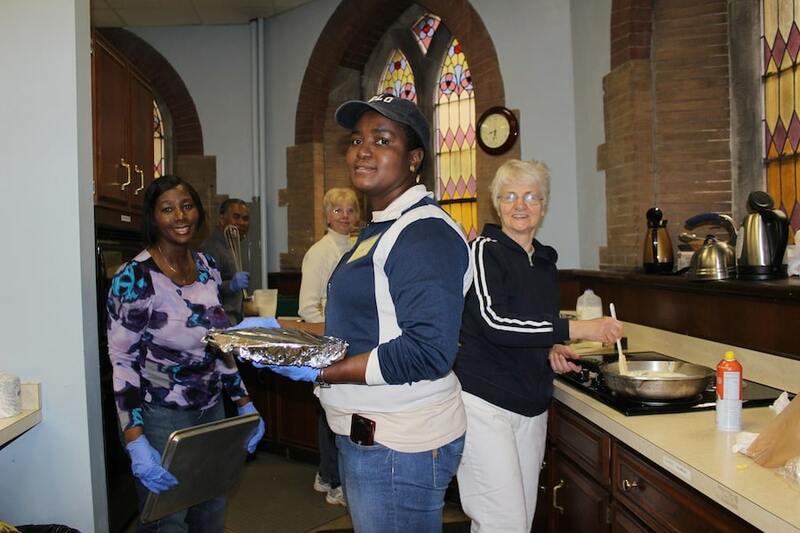 The Phoenixville Ecumenical Lunch Program consists of several churches and groups who individually prepare hot lunches for approximately 50 individuals who would otherwise not have nourishment. All meals are provided at no cost to our guests and all are welcome. No registration required. 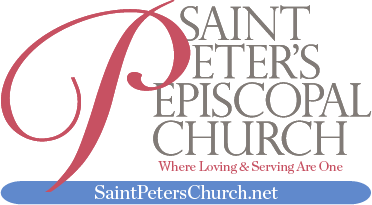 St. Peter’s Food Pantry is a ministry to serve God by serving others by providing fresh and nutritious food at no cost to those experiencing food insecurity in the Greater Phoenixville area. We offer a caring atmosphere and treat each person with dignity and respect. We provide a self-service shopping experience which includes non-perishable foods, bread, fresh dairy, fresh fruits and vegetables. Pantries are held every other Saturday with a hot breakfast 8:30 AM, pantry @ 9:00 AM – 11:00 AM. Those who cannot come on Saturday may attend the following Monday with a hot dinner 5:00 PM, pantry @ 6:00 – 7:00 PM. Free health screening is provided on Saturdays by Phoenixville Hospital nurses. Guests who are income eligible according to federal guidelines may register on their first visit for the pantry. You do not have to be a U.S. citizen to attend the pantry or meals and there are no income requirements for the meals. The El Salvador Mission has been part of St. Peter’s mission of outreach since 2007. Each year 6-14 missioners travel during the summer to serve those struggling in poverty in El Salvador in connection with Cristosal. Our work in El Salvador is more than just construction projects. Our focus is to share and connect with the native people, gain knowledge of their culture and country and to walk with the El Salvadorians in solidarity to form a sustainable, brighter future and higher quality of life. All missioners experience a spiritual journey of discovery and a deeper closeness to God after this week-long mission trip. Cristosal is presently under the direction of Noah Bullock, who is doing an amazing job at fighting poverty at its root cause. You can learn more about Cristosal and its great work at www.cristosal.org. The Breakfast Ministry began in 2010 to offer a more welcoming and hospitable experience for clients of The Pantry. We welcome them to come to the kitchen and fellowship area to enjoy a free, hot breakfast. Though the breakfast is wonderful, the main focus is on relationships. What a better way to forge new and stronger friendships than to sit at a table with others during a good meal? There are 3 teams of dedicated volunteers that serve on a rotating basis to sustain the breakfast mission from St. Peter’s Episcopal Church, Washington Memorial Chapel of Valley Forge and Vineyard Community Church. A valuable adjunct to the breakfast is the presence of a nurse from Phoenixville Hospital who is available for blood pressure screenings and health consultations. We are very thankful to all who contribute to this meaningful mission by offering an atmosphere that fosters stronger bonds between all people. St. Mary’s Franciscan Shelter, located in Phoenixville, serves families that find themselves homeless for many reasons. Along with many churches in Phoenixville, St. Peter’s provides a dinner for the residents for two separate weeks of the year. Parishioners prepare a meal in their own homes, sometimes partnering with another member. We always prepare enough food to feed twenty people including children. The volunteer delivers the meal to the shelter by 4:30 p.m. Meals do not need to be fancy; a simple nutritious meal that you would feed your own family would be best. This is a wonderful ministry for folks that are looking to do God’s work, but may not be able to commit to a long term volunteer obligation. Good Works Phoenixville is a popular service opportunity for the youth group members in grades 9-12 in conjunction with Goodworks, a Christian organization. Since 2009, this group has committed a full day of service in the Spring and Fall to serve a Chester County family to help make their home safer and stronger. There is usually a team of 4-6 youth and up to 6 adults who participate in this great mission with an emphasis on interacting with the family and forming connections and relationships. This wonderfully enriching experience leaves everyone satisfied with what they’ve accomplished and learned throughout the day and the clients always have very positive feedback for their experience with us. You can learn more about Goodworks by visiting their website at www.goodworksinc.org.